In Zimbabwe it’s literally cheaper to print on money than paper. 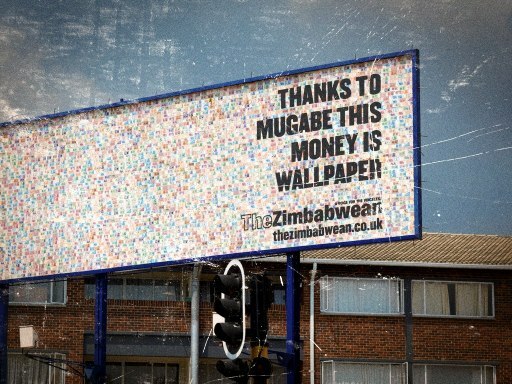 Yup, they actually used money as a poster for this billboard. This entry was posted in Uncategorized and tagged random, zimbabwe. Bookmark the permalink.